�����The 76th Annual Central States Numismatic Society Convention begins next week, April 20-25, in Schaumburg, Illinois. Heritage Auctions will host the official sale with Platinum Night festivities certain to be the highlight of the auction. One portion of this important sale includes the New Orleans Collection made up of numerous 19th century U.S. Gold coins. �����The sale of the 1933 $10 Gold Indian may be a once in a lifetime opportunity for collectors, graded MS65 by PCGS with CAC approval. 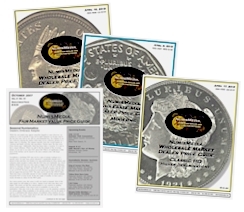 There are only 12 coins certified in MS65 with only one grading higher by NGC, an MS66. 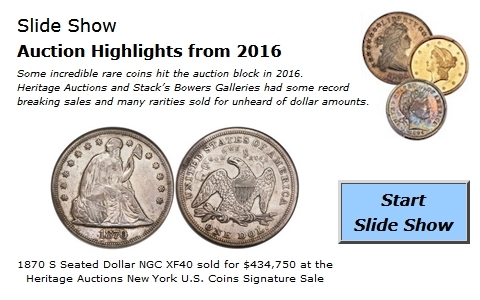 The current FMV in MS65 is $593,750, and this coin is sure to top that. �����Typically, one $4 Stella would bring excitement to any sale. There will be three Stella�s available from the New Orleans Collection and six more up for auction at Platinum Night. The 1880 Flowing Hair in PCGS PR66 is one of only two certified in this grade with just one certified higher in PR66 by NGC. The current FMV is $506,250. �����The Flowing Hair is the most likely found Stella in any auction, however, this sale contains two Coiled Hair Stella�s, one 1879 and one 1880. The 1879 is certified by PCGS as PR65 and includes the CAC sticker. There are only five coins in this grade with another five certified higher, the highest being PR67. There were only 10 coins minted. �����The 1880 Coiled Hair Stella may be the highlight of this sale, graded by NGC as PR67, and it too has the CAC vote of approval. The current FMV is $1,281,250 and there is only one certified in this ultimate grade. With an original mintage of just 10 coins, collectors may not have another opportunity at this one. With a mere 460 total mintage for all the $4 Stella Gold coins, these true rarities will certainly make some winning bidders extremely happy. 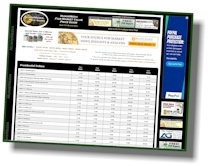 �����This week�s Wholesale Market Dealer Price Guide shows minimal changes as the overall market remains steady. One area that has shown some advances is in the early Lincoln Cent charts. It seems like there are more buyers for MS63 and higher Brown and Red & Brown coins where the Red coins are much higher in value. Collectors are looking for coins with eye appeal and don�t want to spend a whole lot of money. Those with higher Market values this week are the 1910 S BN MS64, 1915 D BN MS65 & MS66, 1921 S BN MS63, and 1927 S RB MS63.